The first 6.1-inch Android smartphone, the Huawei Ascend Mate, was launched here late last month. In conjunction with the launch, Huawei Device Malaysia is giving away two Ascend Mates in the Huawei Meet My Mate contest! Simply send a photo with a caption of not more than 20 words about you and your best mate. If your submission has the most number of votes on the Huawei Malaysia Facebook page, you and your best mate will win a Huawei Ascend Mate each. Also, there are nine consolation winners who will walk away with a pair of movie tickets for you and your best friend! That’s not all. Huawei has some good news for members of our forums. 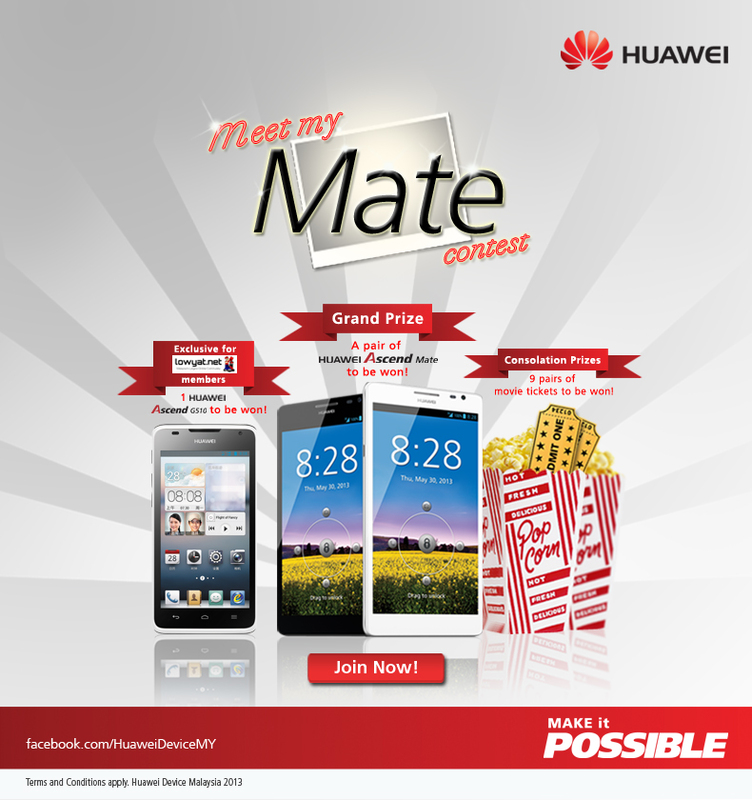 Huawei Device Malaysia has one Ascend G510 – which was also announced alongside the Ascend Mate – in a separate lucky draw exclusive for LYN forum members who take part in the Meet My Mate contest. The Huawei Meet My Mate contest is now open until 24th of June. To join, head on to the contest link here, or find out more about Huawei Device Malaysia via its Facebook page. Want to know our initial impressions of the Ascend Mate? Check out our preview by Chapree here. Win An Autographed Infiniti-Red Bull Racing Cap, Signed By Mark Webber This Chinese Grand Prix!